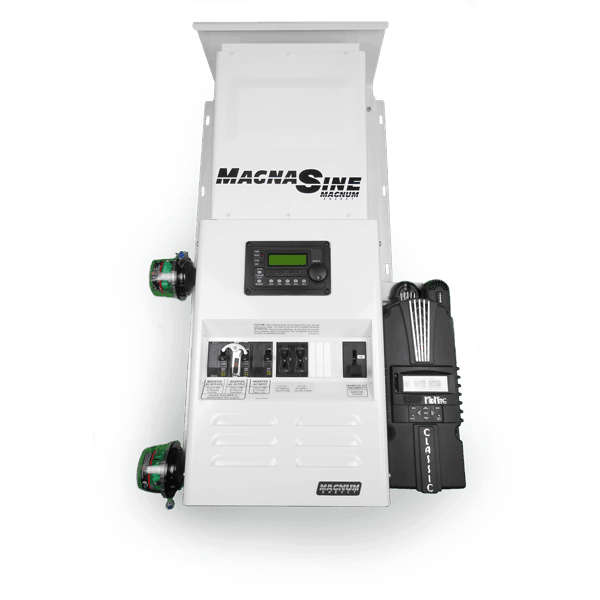 Four Star Solar's pre-wired and tested Mini Magnum MS4024PAE Power Center comes equipped with a Magnum Energy MS4024PAE 120/240 sinewave inverter, a Mini Magnum Panel pre-assembled with necessary components (See below for a complete list). Since this system has already been assembled and tested, you will significantly save on time and/or labor costs. Also, the MS Series inverters that are installed with a Magnum Energy MP or MMP panel carry a five-year warranty, rather than the standard three-year warranty. Feel free to click on the components below to learn more. You'll also be able to view individual retail pricing.